Ultra Correction Lift Total Eye Review: What Makes It So Special? 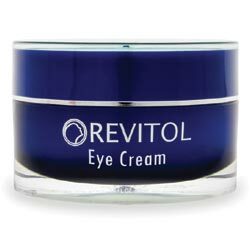 Tired of your tired-looking eyes? Then, don’t keep your eye area looking like you just spent a night without sleep or crying. From one of the world’s most recognizable brands in fashion comes the Chanel Ultra Correction Lift Total Eye Lift, US $100. This product relies on the anti-aging skin benefits that can be derived from elemi essential oils, Vitamin E and sodium hyaluronate. 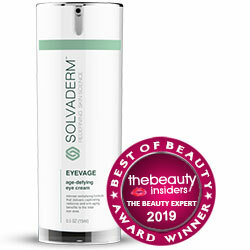 Remove any makeup or other pigmented products from you eye area. Cleanse thoroughly with lukewarm water and a soap-free facial cleanser only. Clean and clear skin around your eyes. If you have time, exfoliate lightly. Follow up with a cleanse with toner. Rub fingers together. Then get a tiny amount of product. Rub between your fingers to activate the beneficial ingredients in the formula. Dot around your eyes. Pat lightly onto skin to pack in the moisture. Spread gently on skin around your eyes in an upwards motion. 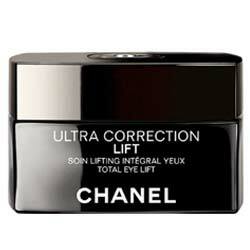 Give it a little massage to help better blend in Chanel Ultra Correction Lift Total Eye Lift with your skin. When you are choosing a product, there are a host of considerations you should reflect upon before you dig into your pocket and cash it in. These include discerning how it will fit and possibly react to other products in your routine, and what your expectations are. Keep reading and keep it real.